TORONTO, ON (June 19, 2018) - Biome Grow (“Biome” or “The Company”) is pleased to announce it has reached an agreement with Toronto-based Occupied VR Inc. (“Occupied VR”) to acquire Weed Virtual Retail Inc. (“Weed VR”), a new virtual reality technology platform focused exclusively on the medical and recreational cannabis markets. “Biome is focused on offering a diversified portfolio of services for our customers and the communities we are integrated in. Adding Weed VR to our holdings allows us to integrate new technology into those services and increase consumer accessibility across Canada, and international markets, through virtual, augmented, and mobile platforms,” said Khurram Malik, President of Biome. Weed VR provides a multi-platform virtual catalog system designed to educate, engage and inform consumer cannabis purchases. Weed VR’s proprietary digital 3D scanning process will create the world’s first comprehensive strain library, working toward containing examples of strains worldwide and new strains as they are developed. The platform will then pair this information with scientific lab data and user reviews, providing consumers with comprehensive product knowledge and enabling educated purchase decisions without ever having to physically visit a traditional dispensary setting. “Weed VR launched on 4/20/2017 and was immediately recognized as a company with the potential to revolutionize the sales process. We’re very excited to have found the right partner in Biome to build and shape the educational and retail experience and the technological future of the cannabis industry. This is really just the beginning of a new virtual retail market," said Fezz Stenton, Technical Director of Occupied VR and Weed VR creator. Biome will launch the Weed VR beta with an eye towards educating and empowering consumers with a more natural way to make informed cannabis related purchases, while Weed VR continues product and platform innovation within the retail commerce space to focus on emerging technology. Biome and Weed VR expect to launch the retail sales platform in jurisdictions where this is permissible. However, the educational tools are applicable to all jurisdictions. Weed VR and Biome view emerging technology such as virtual reality, holograms and augmented reality as the natural evolution of commerce, positioning them well for future growth opportunities. “Biome has its eye squarely on the local consumer, what they want in a product and what they want in a buying experience. Acquiring Weed VR will allow us to deliver a convenient and quality customer experience to our Canadian consumers and position us to reach into the burgeoning global market from right here at home,” concluded Malik. To register for updates about or to experience a demo of Weed VR, visit weedvr.co. Biome (whose corporate legal entity name is Cultivator Catalyst Corp.) wholly owns Highland, an Authorized Licensed Producer in Nova Scotia under the ACMPR and P-209 Inc., a company incorporated under the laws of the Province of Ontario and in the late stages of applying for a license under the ACMPR, The Back Home Medical Cannabis Corporation, a company incorporated under the laws of the Province of Newfoundland and Labrador and in the late stages of applying for a license under the ACMPR and Weed VR, a company incorporated under the laws of the Province of Ontario in the business of operating a new virtual reality technology platform focused exclusively on the medical and recreational cannabis markets. Biome plans on operating a diversified mix of low cost licensed cannabis production facilities across Canada and other jurisdictions in the coming years. Additional growth will be achieved through a mixture of acquisitions and organic growth. 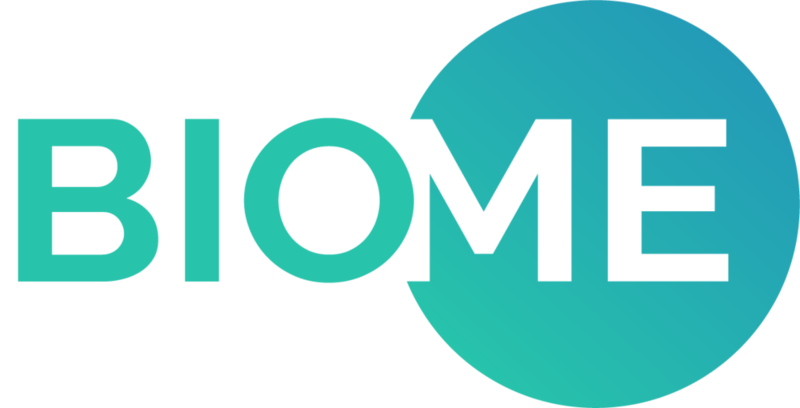 Moreover, Biome will integrate a complimentary platform of technologies and services targeted at both the Canadian and international cannabis markets. Biome has entered into an amalgamation agreement dated April 25, 2018 (the “Amalgamation Agreement”) with Orca Touchscreen Technologies Ltd. (“Orca”) (CSE: OAA), pursuant to which 1151856 B.C. Ltd., a wholly-owned subsidiary of Orca, will acquire all of the issued and outstanding securities of Biome by way of a three cornered amalgamation transaction (the “Transaction”). A copy of the Amalgamation Agreement and a press release announcing the Transaction can be found on SEDAR under Orca’s profile. Occupied VR was founded by an award-winning group of creatives bringing their film, game development and visual experimentation to the world of VR. With their sights fixed on pushing the limits of immersive technology, Occupied VR has staked its claim as one of the most innovative virtual reality production houses in the world. With an already impressive portfolio including work for VICE, RIDLEY SCOTT ASSOCIATES, SAMSUNG, CFC, and UNIVERSAL, the team continues to explore the creative possibilities of the virtual experience. Fezz Stenton is currently the Technical Director at Occupied VR and creator of Weed VR. After years of creating Live Visuals and Projection Mapping for clients like TIFF, Redbull and Budweiser, Fezz’s love for new technology led him to become an early adopter of virtual reality. He fell quickly into the world of VR as it allowed him to apply his real-world design experience to create compelling and immersive virtual worlds and spaces. Fezz joined Occupied VR in 2015 and has become a key part of Occupied VR’s growth as they pushed the boundaries of what immersive VR and 360˚ video can do, leading to clients like Vice, Samsung and Lincoln. He most recently completed Living with Jaguars – an interactive VR documentary created alongside VICE – overseeing both video production and interactive components as its VR Director. In 2017, he launched Weed VR as the world's first Virtual Dispensary. Fezz continues to experiment with new technology as he focuses on finding creative applications for emerging tech. This news release contains forward‐looking statements and forward‐looking information within the meaning of applicable securities laws. These statements relate to future events or future performance. All statements other than statements of historical fact may be forward‐looking statements or information. More particularly and without limitation, this news release contains forward‐looking statements and information concerning the development of WeedVR’s platform; Biome and WeedVR’s expected launch plans; and Biome’s operational plans. Such forward-looking statements reflect management’s current beliefs and are based on assumptions made by and information currently available to Biome, including, among other things, assumptions and expectations with respect to changing legislation and the timing associated with such changes; labour, research and development, construction, and other costs and expectations that such costs will remain low; the ability to obtain all necessary regulatory licenses, permits and approvals on a timely and cost efficient basis to produce and sell cannabis and generally operate its business in both Canada and internationally; that no litigation (including intellectual property litigation) will be initiated; the ability to enter into business partnerships, including with retail distributors of cannabis; the ability to generate sufficient cash flow to meet its working capital requirements and that sufficient financial resources will be available; and the ability to successfully market its products and services. These forward-looking statements are subject to risks and uncertainties that may cause actual results to differ materially from those expressed or implied in the forward-looking statements, including, among other things, a failure to obtain or delays in obtaining the required regulatory licenses, permits, or approvals, changes to legislation, changes in cannabis research or the general public’s perception of cannabis, competition in the medical cannabis market, crop failure, labour disputes, increases in labour, research and development and/or construction costs, rising energy costs, the initiation of litigation (including intellectual property litigation), an inability to enter into successful business partnerships, an inability to access financing as needed, and a general economic downturn. These forward-looking statements speak only as of the date on which they are made, and Biome, or any of its subsidiaries undertakes no obligation to update or revise any forward-looking statements whether as a result of new information, future events or otherwise, except as required by law. The forward-looking statements contained in this news release are expressly qualified by this cautionary statement. We respect your privacy and do not share personal information without your permission. Biome Grow (“Biome” or “The Company”) is pleased to announce it has reached an agreement with Toronto-based Occupied VR Inc. (“Occupied VR”) to acquire Weed Virtual Retail Inc. (“Weed VR”), a new virtual reality technology platform focused exclusively on the medical and recreational cannabis markets.